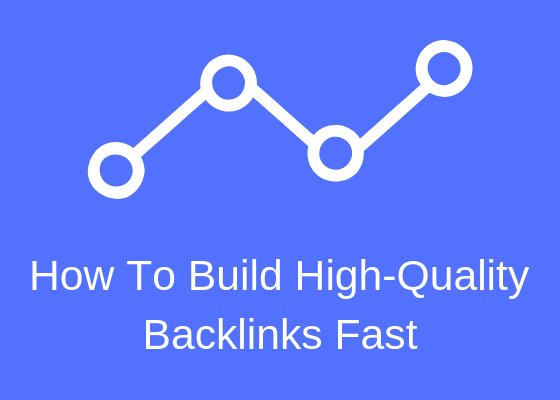 I’m gonna show you my favorite five ways to get high-quality backlinks to your blog or website. Instead of you chasing other websites for links let those links come to you. I’m gonna show you how to have backlink opportunities getting emailed into your inbox every single day. So don’t go anywhere read this article carefully. Alright let’s get into it, but before we actually talk about How to get backlinks? to let’s stop for a second Why you actually need backlinks? So backlinks are absolutely necessary if you want to get traffic to your blog or to your website. Google search engine traffic is a very powerful source of getting traffic. However just putting out content there is not enough you actually need backlinks. 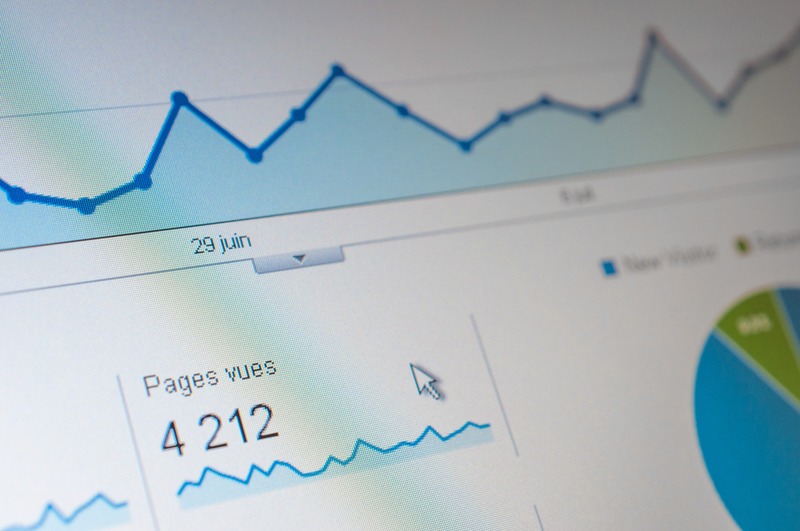 In fact, it’s the number one factor for Google’s decisions to rank your page for a particular search term. I want to share something with you backlinko .com which is run by Brandon who is an SEO expert. I want to share a quote from his website. 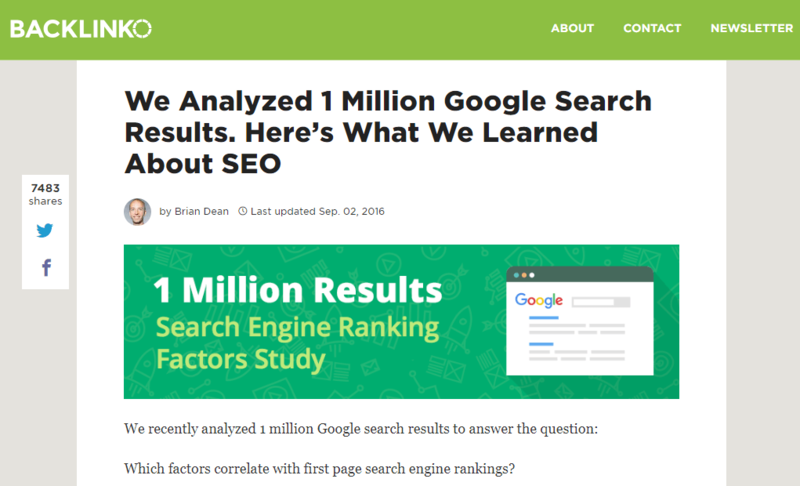 They recently did an analysis the data mined 1 million google search engine results. As you can see here the number one factor that influences the rankings of pages is backlinks. It says “I quote backlinks remain an extremely important Google ranking factor with down the number of domains linking to a page correlated with rankings more than any other factor”. So this is the number one thing. When a visitor types in “funny dog photos” or “how to make money online” if you want your page to come up on page 1 for Google you need backlinks pointing back to your website. So with that out of the way, I want to show you several ways to get free high-quality backlinks to your blog or to your website and you won’t have to pay anything for it. So the first site that I want to share with you is HARO (HelpAReporter .com) and it is 100% free. The way that it works is you can register for HARO. 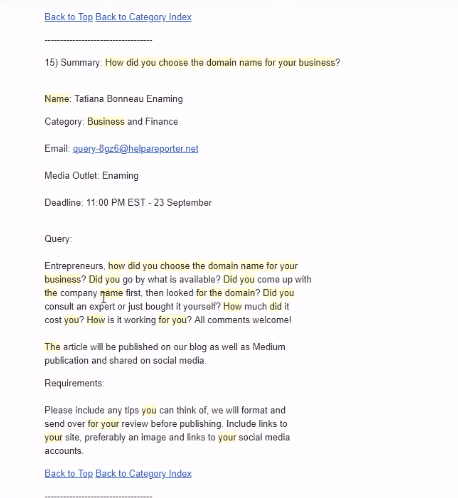 It’s a website that connects journalists with business owners. Journalists when they’re creating stories they want to feature certain people to give credibility to their stories. They might be writing a story about a small business owner and they will be looking for people to quote. You can sign up as a source. Just click on “I’m a source” and then you can register with help a reporter with “HARO”. After you’ve registered you will just need to monitor your Inbox. Here is an example of an email that you would get from HARO on a particular day. I wanted to give you an example of how simple some of these queries actually are. And if you scroll down you will see that it says, “Entrepreneurs”. “How did you choose the domain name for the business? Did you go by what is available? Did you come up with the company name first?” etc. etc. So what will happen is you can submit your contribution to this person who is writing this journalism piece and if they like your contribution that will include reference to you they will feature it as a story. Choose the domains for their business and they will link back to your site and often these are extreme High Domain Authority websites. And guys this literally happens on a daily basis. There are so many emails out there that contain things that you can reply to it’s incredible not just in the business the niche they also happen in various other niches. So I highly recommend that you sign up that you go assert of any challenge and just submit as many of these pitches as you can because that will give you the biggest opportunity and the biggest chance of actually getting links from this high authority websites so highly recommend that you check out HARO. Now let’s move on to the next site. I’ve actually prepared some more websites for you guys that work similar to HARO. So you don’t just limit yourself to only one website I suggest that you go and register in as many of them as possible. Because these are websites that will give you links passively that will effectively instead of you pitching other websites to give you links. These guys will be sending you emails asking you to contribute so that they can link back to you. So let’s talk about the next website and it is called “SourceBottle .com”. It is also a free website. Just go to soucebottle .com and register either as a journalist or blogger or as a source seeking publicity. For example, if you are looking for links to your website or to your blog then you need to register as a source. So you just click be a source now and then you will go ahead and you will register and you will be able to then start receiving notifications so essentially. If you sign up as you can see here. 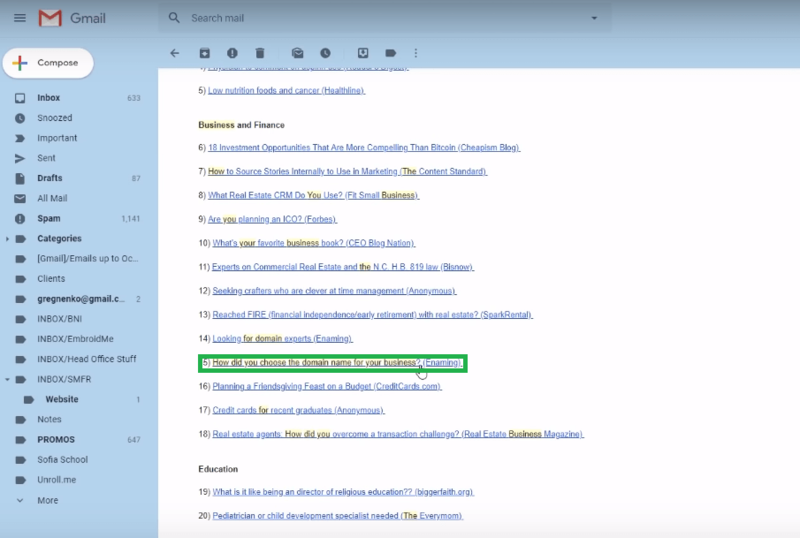 All you need to do just signup and after that sit back and wait and you will start receiving this drink up email alerts for the summary of all the current call-outs for sources and topics of interests. So once again very similar thing to high brow all you need to do is just register. Than monetary inbox and you will get alerted to opportunities where you can provide a simple answer to a question so that one of the bloggers one of the media outlets can actually feature you and they will provide a link back to your website. So the opportunities here are endless you can get really really High-Quality Backlinks. There are few more websites that I’ve found for you guys there is another one called “PitchRate .com”. So this is what this website looks like. Once again you can either sign up as a journalist or as an expert. After signup, you will get notifications into your inbox daily about any opportunities where you can contribute a bit of a piece. It will only need to be several sentences to score a link from a very very High Authority website. So the next site like that I wanted to mention is called “Profnet“. It’s a very similar deal you don’t need to pay for everything is completely free. You just register and you will be once again put on the database. You know similar dealers all of the other websites you can get high-quality links from High DA PA Websites this way. And one more website that I recommend for you guys to check out is called “TheKiti .com“. You will simply need to come here and register. It’s free to use works in a very similar manner. You can just register as an expert and you will be asked to contribute various pieces. So here is a number of websites where you can get backlinks to your blog or website for free. It doesn’t cost you anything all you need to do is just send in a short pitch the beach itself can be reasonably short. Most of the time you just need to follow the requirements. So Nothing complicated at when I got links I simply submitted two or three paragraph contributions and I provided links to my website and a photo of my profile and that was enough to get some excellent juicy high authority backlinks. So as a quick recap here are the websites – (i) helpareporterout .com, (ii) sourcebottle .com, (iii) pitchrate .com, (iv) profnet and (v)the last one is thekiti .com. All you need to do is register as an expert wait for the emails from the outlets then reply to them with a short pitch include a link to your domain and you will have a really good chance of being featured and getting a backlink from a very high authority domain website. So hopefully you enjoyed this roundup of the best places to get backlinks in 2019. Thank you so much for reading and I’ll see you in my next article.